Climate change has been linked to a multitude of troubling trends, like melting polar ice caps, rising sea levels, and more extreme weather. And while these changes are bound to have a profound impact on future life on Earth, the disturbing realities of this phenomenon are already being felt -- it's killing baby penguins. 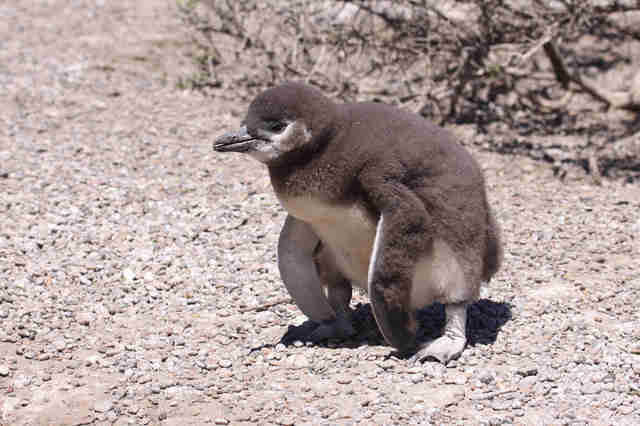 In the world's largest Magellanic penguin colony on Argentina's Punta Tombo peninsula, home to more than 200,000 breeding pairs, changes in both temperature and rainfall are taking a deadly toll. According to the results of decades of study, researchers found that these shifts have led to an increase in mortality rates among penguin chicks. University of Washington biology professor P. Dee Boersma says that young chicks who have yet to shed their downy feathers are particularly vulnerable to heavy rainfall which can soak through to their skin causing hypothermia. In the last 30 years, Boersma has recorded an increase in storms over the normally arid region, in some years causing nearly half the colony's chick deaths. "Climate change is really a new factor in terms of mortality for Magellanic penguins," Boersma tells the Christian Science Monitor. "It's really these extreme weather events, which all the climate models predict are going to become more frequent and more extreme, that are killing penguin chicks." 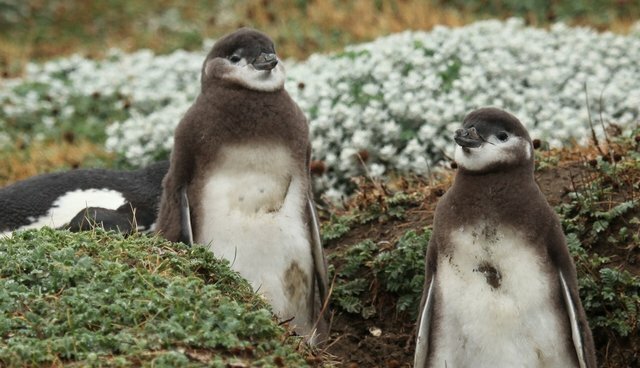 Since 1983, Boersma notes, the penguin colony has increasingly been exposed to hotter than average days, aberrant temperature shifts also associated with climate change that are too much for young penguins to bear. To make matters worse, climate models predict that the factors leading to these deaths are only going to get worse -- not just for Magellanic penguins, but for a variety of species ill-equipped to handle changes to their environment. And that may even include us. "We're starting to see increased numbers of people die from these same sorts of things. So these penguins are really the canary in the coal mine," Boersma says. "Penguins are really the ocean's sentinels. They are telling us that we'd better start paying attention to climate change because penguins are dying."